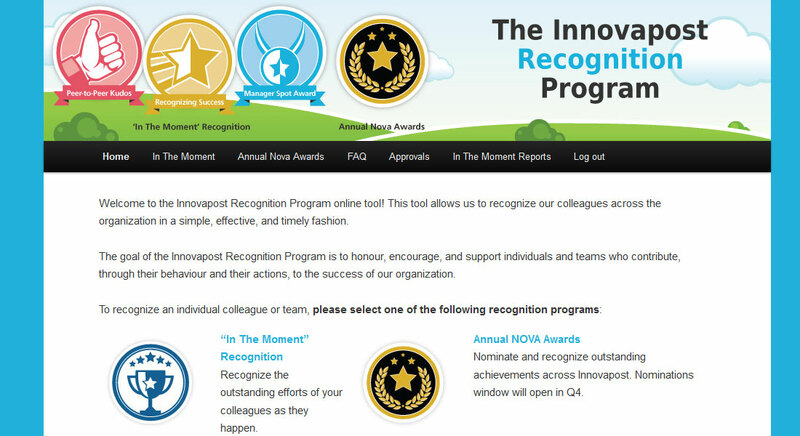 Innovapost HR wanted to build a program that would honour, encourage, and support individuals and teams who contribute, through their behaviour and their actions, to the success of our organization. They were looking to revamp the selection process of the annual awards program which highlighted successful projects and key contributors and create a new vehicle for individuals and executives to recognize achievements in the moment. The Innovation Services design team prepared a bold design that encouraged people to “Leverage the power of ‘Thanks’!” which I delivered through an internal WordPress micro-site powered by Gravity Forms and several add-ons. I was hands-on for the entire process which delivered detailed business requirements, solution design and initial implementation within one month. The result has exceeded all expectations from an employee engagement perspective and truly demonstrates the versatile nature of the WordPress platform. The design built upon the new brand colours of Innovapost and Kelly created a fantastic set of icons to differentiate each The Moment Award Type and annual Nova Awards program. 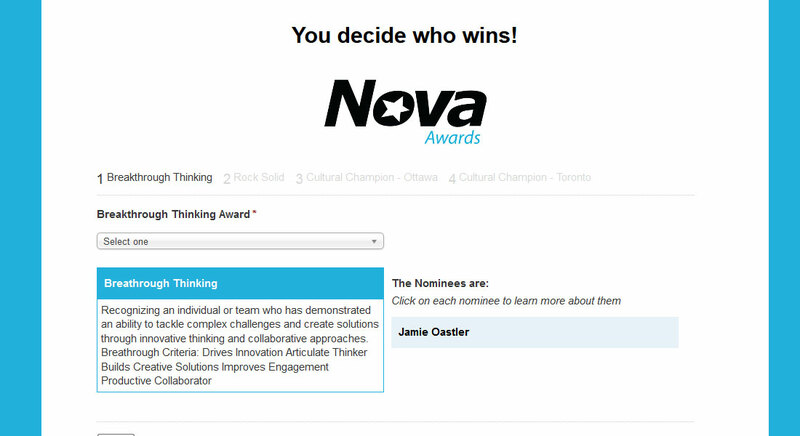 Employee nominations and votes determine the winners for each of the annual awards in 3 different categories – Breakthrough Thinking, Rock Solid and Cultural Champions. 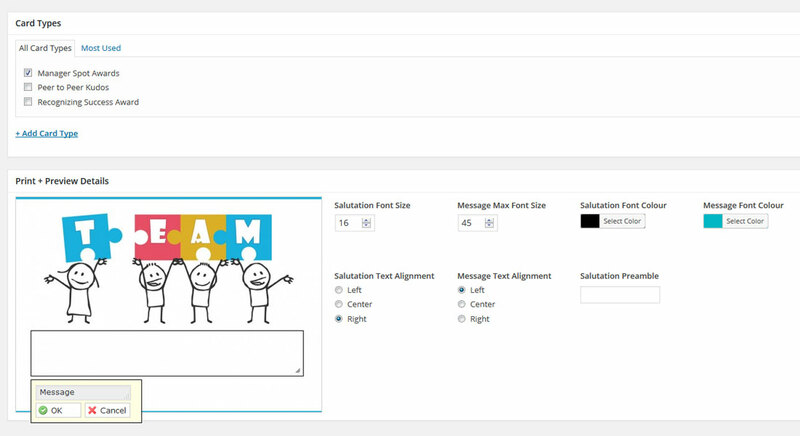 A Custom post type and specialized meta box types ensure HR can continue to create new templates without any specialized design skills required. 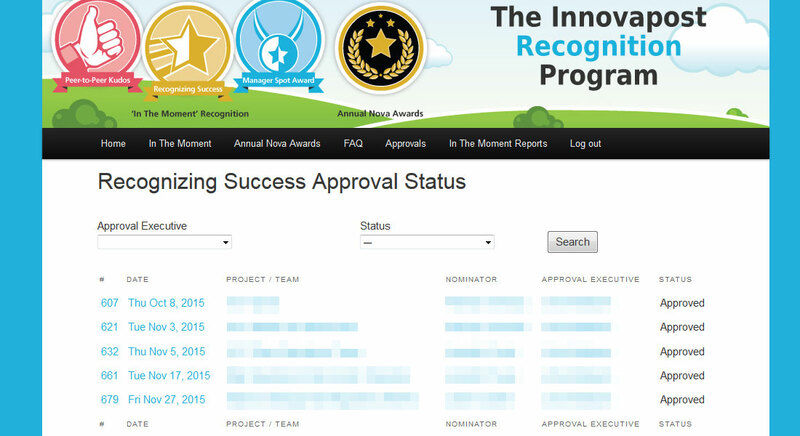 In the Moment recognition is delivered as PDFs via email that also notify managers of the selected employees. 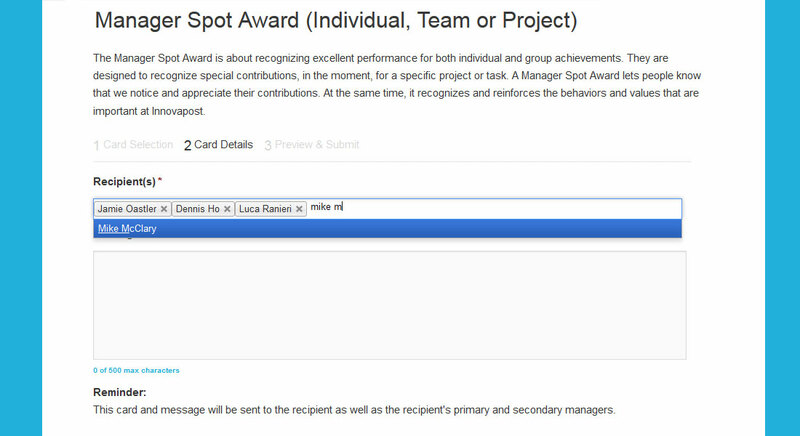 Nominating colleagues is easier than organizing a meeting thanks to smart customization of a multi-page Gravity Form. 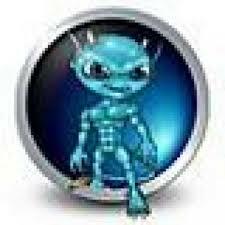 Users access the site with their domain credentials that are authenticated via LDAP and org structure data is regularly updated from a 3rd party HRIS system. One award case involves celebration / compensation that require executive approval which is handled by the excellent GravityFlow add-on. This program values quality over quantity – but it was an important to be able to review engagement measures at a department level which Gravity Views helped deliver. Thanks to all of your hard work we were able to see this program be successful from beginning to end. 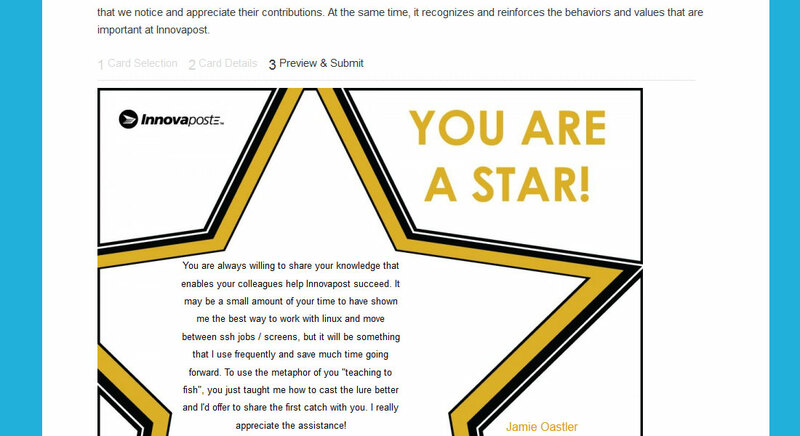 More so, thank you for helping to bring smiles to the faces of all of your colleagues at Innovapost! Interested In building up your employee engagement levels?